I am writing this report whilst basking in the glorious smugness of being captain of a table-topping team (spoiler alert). 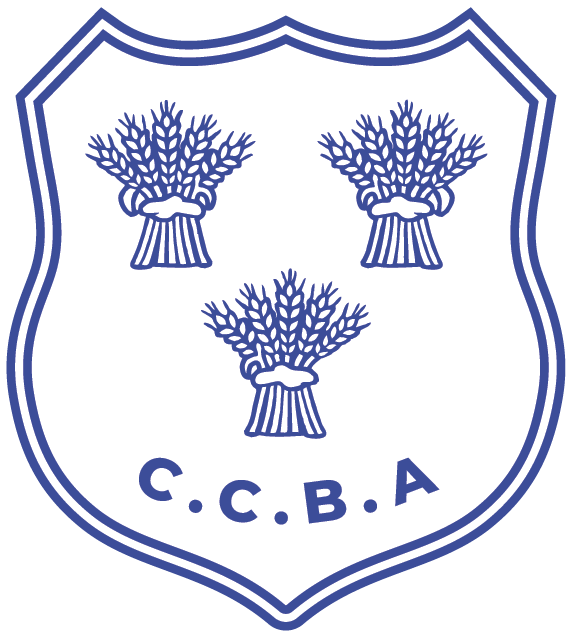 The 23rd and 24th March were the last two days of competition in the 2018/19 Division 1 North season. 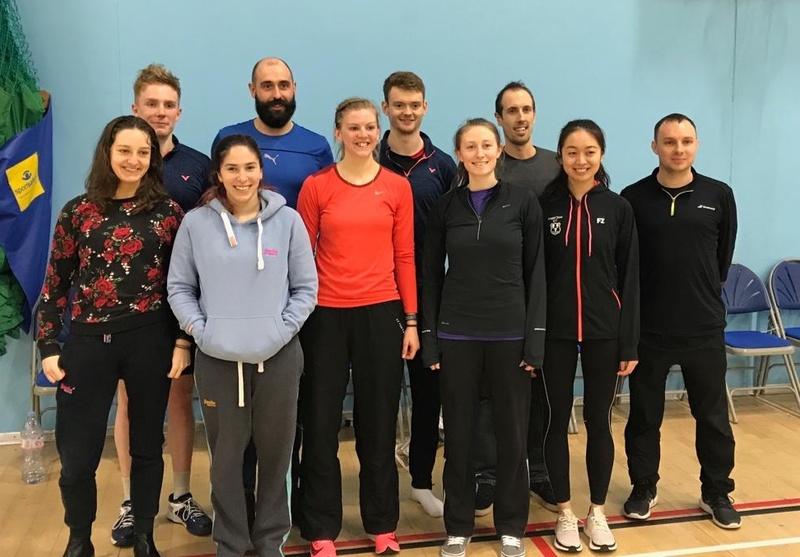 Cheshire went into the weekend in second place, knowing that a top two finish overall would secure a place in the play-offs and a chance to re-join the lofty heights of the Premiership. Standing in our way were Derbyshire, Staffordshire and Nottingham (who were perched in first). The line-up for the final showdown was a mixture of old and new faces. In the lady’s corner we had: Claire Weaver, Rachel Vickers, Hayley Rogers, Jojo Minihan and Angel Chow. In the men’s corner we had: Mike Roe (dodgy foot), Matt Sprake (man-flu), Sid Palakkal (cut hand), Dom Ashton (dodgy wrist), Dave Edgar (dodgy hair) and Ben Dolman (fully functional). The match got off to a great start with Ben taking first singles (Guuuud Ben) and Dom stepping up and taking third singles with ease. Unfortunately, the rest of the singles didn’t fall Cheshire’s way so we found ourselves 3-2 down heading into the doubles. Following what can only be described as a disappointing performance at top men’s doubles by myself and Matt (our opponent was sympathetically laughing at me…), Cheshire were now 4-2 down; definitely not what we were hoping for! Thankfully, the other members of the team had decided to show up, and after three very gritty performances we were back in the lead 5-4 up. As sod’s law dictates, willing yourself to play well and actually playing well do seem to have somewhat of a negative correlation. This was certainly the case for the top mixed, where myself and Hayley couldn’t really find our gears and lost out in two sets. Thankfully, a very professional and composed performance by Dom and Rach at second meant that we took the tie 6-5. A win is a win, but those few games that we dropped meant that we had a bit of an uphill struggle facing us, especially with our neighbours Lancashire breathing menacingly down our necks. So the afternoon brought a new tie and an opportunity to hopefully get a few more games on the board. Staffordshire had been struggling all year to pick up lots of games and we were hoping that we would match up well against them. The men’s singles came out flying with Ben and Sid taking wins at 1st and 2nd with relative ease. Dom had the unenviable task of playing his literal mirror image (his doubles partner). Sometimes it was difficult to tell whether or not they were playing a match or an incredibly intense routine; unfortunately, the tie didn’t fall our way, but we were still happy with being 2-1 up going into the lady’s matches. Claire had a tough opponent in the shape of a strong England Junior, but played very well and gave her a good run for her money before losing in two close fought sets. Angel stepped up and ensured that we rounded off the singles in winning fashion by beating their second singles player in three sets. 3-2. Cheshire were up and heading into the doubles where we usually like to assert dominance. And that’s just what we did. Some really good quality and composed performances (particular special mention to both ladies pairs who fought hard to win both games in straight sets) meant that Staffs didn’t get another look in and Cheshire stormed to a 9-2 victory. It was with hope in our hearts and hunger in our belly that we headed to the pub that evening for a team meal. We were in with a chance if we played our cards right the next day- a difference of two games in our favour would seal the league. This is potentially the most stressed I’ve felt in a sports hall for quite a few years (probably since ICT). We made the decision to put myself in at second singles in the hope that my foot would hold out for long enough; thankfully it did which gave Cheshire a much needed rubber from three in the men’s games. Women’s singles next and two difficult games on the cards. Claire was participating in a throwback grudge game from the late noughties/ early …teenies…? Keeping the records straight she showed she meant business winning in a decisive three setter. It was now Angel’s time to shine and she did so radiantly – winning 23-21 in the deciding set. Doubles time! Having found our stride against Staffs, me and Matt kept a cool head and took first doubles, with Dom and Dave outclassing their opponents in a straightforward two setter. The ladies doubles next and two very evenly matches games. Claire and Hayley battled hard to win in three. Unfortunately, despite their best efforts, Jojo and Rachel couldn’t quite follow suit ad were edged out in three. On to the mixed. Taking one of the two would mean that Cheshire would come top of the Division. Me and Hayley went on first and were quite thoroughly beaten in two games, not quite having the energy levels to take the match. It all rested in the hands of Dom and Rachel who have been incredibly solid all year. Standing in their way was what can only be described as a pair playing the best badminton they’ve ever played, Dom and Rach needing to hit the floor twice it seemed to stop the shuttle coming back. In what was an incredibly exciting (and for me, nearly vomit inducing) match, as had always been the case this year for the pair, class shone through and Dom and Rach brought it home for Cheshire; final score 7-4. Put ‘Three Lions’ on the jukebox and let’s bring those three sheaves of wheat home to the Prem, where they belong. “Len loved sport and followed rugby, cricket, tennis, athletics and badminton. Unluckily for him, his talent as a sportsman was somewhat inferior to his enthusiasm. Although he was a keen badminton player, he never managed to reach beyond the lower divisions and instead devoted his efforts to the organisation and administration aspects of the game. Unfortunately for us, he was a quiet and very modest man and talked very little about himself. 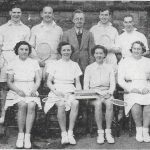 He rarely spoke about his wartime service, about his working life, or about his efforts to grow and develop badminton in Cheshire. I do know that he spent a large amount of time working with both the League and with the County Badminton organisations. As well as attending the meetings and dealing with the constitutional affairs, he organised many tournaments. He particularly enjoyed organising and running the youth tournaments, working with the future of the game. He continued his involvement with badminton administration well into his retirement years. Another thing that I recall is that he felt that the individual leagues within the County represented something of a missed opportunity in terms of competition. He also felt that there was insufficient opportunity for league players to enjoy representative badminton. 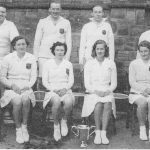 We might be able to play for our clubs in the league but unless you were one of the fortunate few to achieve county colours, then league badminton was as far as it went. Lawrence then presented the Len Knight Trophy for 2018/19 to the Wirral League, who had 8-1 wins over both the Chester and Crewe Leagues. This is a very special award, kindly donated by Jean Evans in memory of her husband Arthur. The Trophy has been awarded every year since 1997. The recipient of this award is chosen by the President, Secretary and the Chairman in recognition of services to Cheshire Badminton. 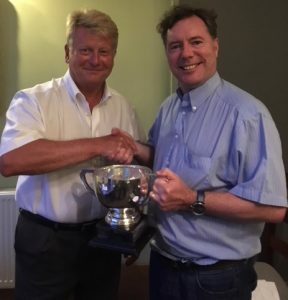 This year the award goes to a Vice President of our Association and I am delighted to be able to announce that the Arthur Evans Memorial Trophy 2018 goes to ………ROGER WESTMORLAND. Sadly, Jean wasn’t able to attend the AGM and present the award in person, but it was my pleasure to present it in her absence. In recent years, this award has generally gone to active members of the County but there has been no real reason for this, as the main consideration is that someone has served our Association well, both on and off court. Roger has had a fantastic playing career and was a real ambassador for our County during his many years representing Cheshire and participating on the National tournament circuit. He was a Council member for 12 years and during that time, held many roles and served on numerous sub-committees including Selection and Team management. His job then took him away from Cheshire for many years, but he always kept in touch. A serious car accident sadly curtailed his playing career but never dampened his enthusiasm for the game. This is a very important award that was first presented in 1964 to Tony Jordan. Annually, each League submits their nomination based on the following criteria: playing ability, service to the game, sportsmanship, club loyalty and turnout. Andy started playing badminton in the mid 70’s at the tender age of 10, when he joined a local junior coaching group. He rapidly began to show talent and then joined his first adult club, Upton BC, playing senior badminton from the age of 14. He is still there today and turns out, as keen as ever, week in, week out in the Wirral Badminton League. Over recent years, Andy has become heavily involved with the Wirral League and heads up the Wirral Badminton Development Group, where he is very effectively building up relationships with BE, WBC, local schools and clubs, to promote badminton at all levels but particularly at grass roots junior level. 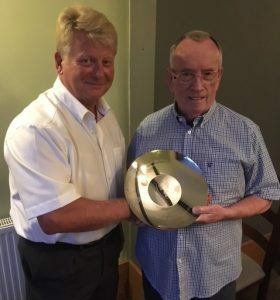 He puts in countless hours on behalf of these groups and the Wirral League had no hesitation in proposing him for the Marjorie Bryce-Smith Award.